SuperTraxx is a decorative, durable, weather resistant, and stain resistant sand coating that is taking over the market. This unique system can be applied over driveways, sidewalks, patios, garage floors, or anything that needs durability and traction. Super Traxx will eliminate spalling and cracks in concrete and will fix those ugly expansion joints that are not easy to keep clean. 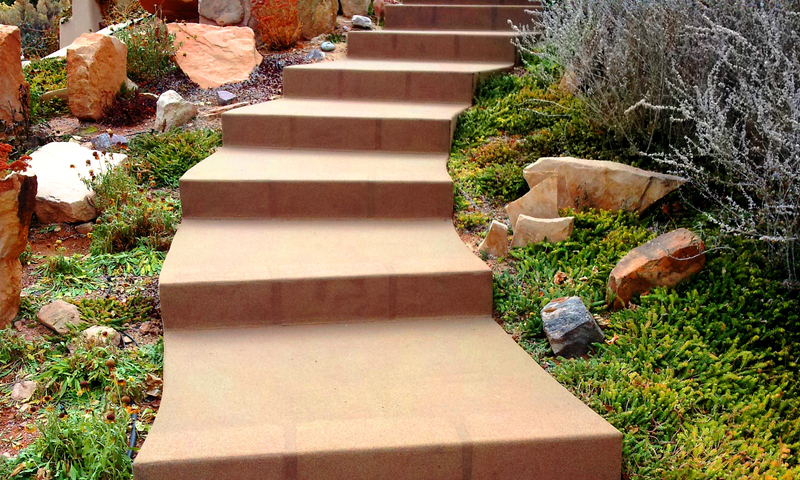 A solution to damages and prevention, this Quartz sand coating is also chemical resistant. For a long term, maintenance free outdoor coating, call Diamond Coat to get a free estimate.